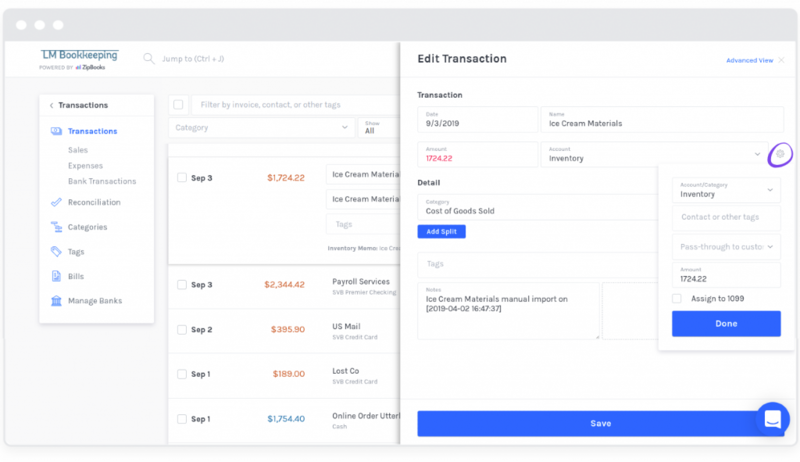 Sometimes when you’re managing payments in ZipBooks, you need to split a transaction to apply it to different bills, customers or invoices. You can split a transaction as many times as you need and apply it to multiple tags and contacts. Here’s how. 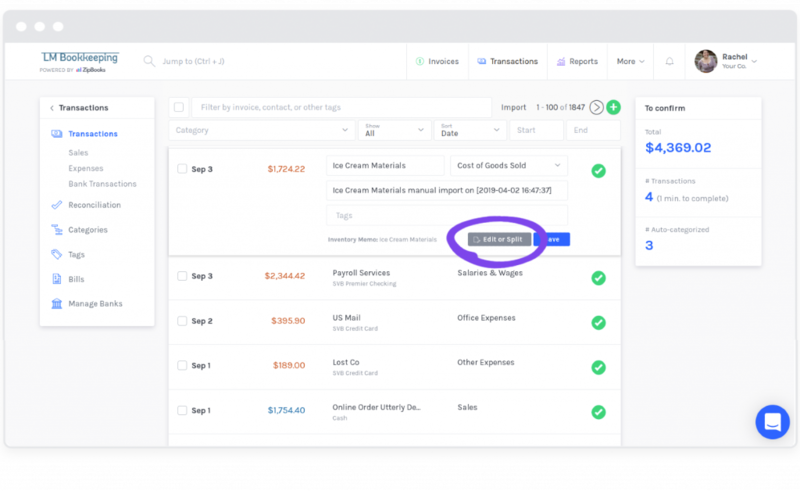 Note: If the split is for a payment against an invoice, you’ll need to add both the invoice tag and contact tag in order to accurately categorize the payment. You can also manage splits and balance debits and credits using the Advanced view from the Edit Transaction window.